How about a soup recipe for the “It’s about time rain” weather we are finally having here in So. Cal. I didn’t plan on blogging this….but it turned out so good that I needed a place to permanently archive it. That would be why there is only (1) picture. Also, I am a cook that doesnt really measure anything, I go by sight and taste, knowing what flavors work and what doesn’t. A gift I got from my mom….she always cooked from scratch. chicken/tomato bouillon (to taste) I use the KNORR brand and its to replace the salt. *of course you can replace the Trader Joes brand with any brand you want….or have on hand. I just happen to be a TJ exclusiveness. Literally throw everything in the pot, bring to a boil and then turn down and simmer for about 2.5 hours. Follow the directions for dumplings on the bisquick box. HA! Add in chopped fresh basil. I replace milk with almond milk. BAM! you have yourself an fully satisfying meal. You can really add anything to your basic biscuit dough; cheddar cheese, green onions, jalapeños. I would even try dumplings with this soup recipe. YUM!! This makes a ton of soup and you will have lots of leftovers. 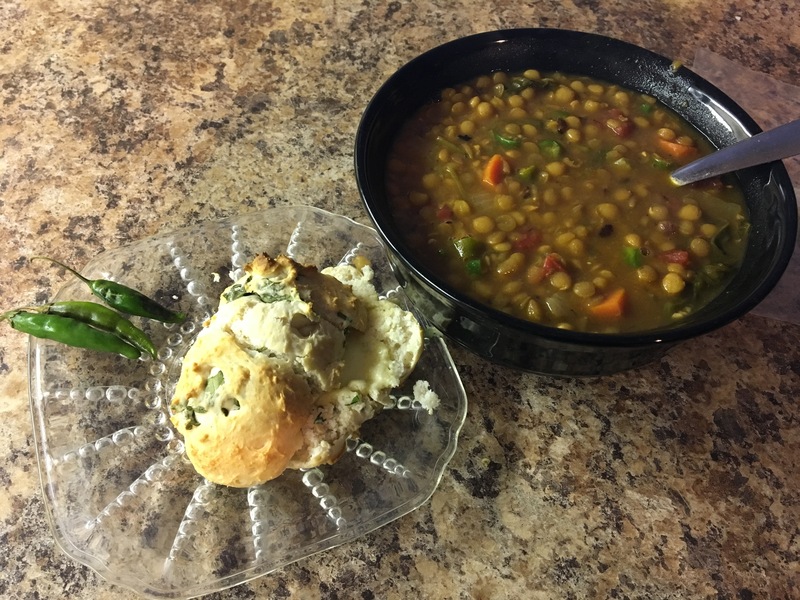 I keep trying to teach my husband to love lentil soup.i haven’t gotten there yet, but someday! Sounds delicious.